It’s been a bit since we’ve heard anything on Replay Studio’s Velvet Assassin. In fact last word we got on it that was worth mentioning was back in September and it was news that the game was being delayed. We were kind of worried the whole thing might have vanished in the air, but it appears not as press releases are starting to fly again. Today we got a look at the outfits that the game’s lead character, female spy Violette Summer, will wear. Claiming that they wanted to “provide players with an intriguing view of the war by portraying a strong, yet normal woman, not only in physique – but also in the reality of her abilities,” Replay Studios has outfitted the highly attractive and far from normal looking Violette in some form fitting outfits including lingerie. Don’t worry, back when the game takes place bust emphasizing leather jackets and size zero waistlines were practically what every woman wore. According to the US Census Bureau only two percent of women couldn’t fit into form fitting leather pants. Ahh, the good old days. Sarcasm about PR spins aside, the game still looks to be shaping up nicely. If you’re wondering why Violette, who is based on a real life spy, would be caught off guard in her lingerie, hit the jump and see all four costumes in their full glory along with explanations for why she is wearing them. 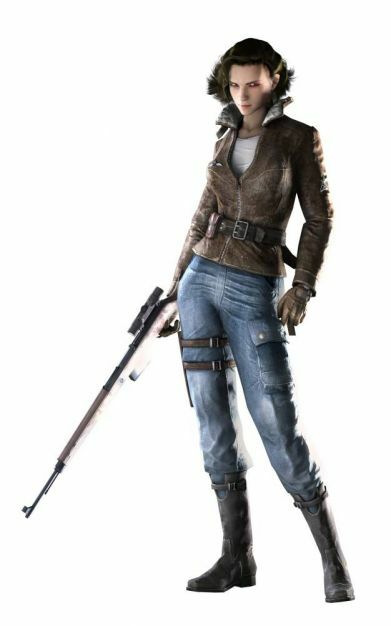 Pilot Outfit – Violette’s mainstay is her standard brown leather jacket and blue canvas cargo pant set. While not exactly all the rage in Milan, this is a very likely outfit of the times; providing the wearer with the storage of cargo pockets, durability of canvas and toughness of the leather. This outfit gives Violette a solid set of threads to get by with. There isn’t too much to be said for these duds, but they get the job done. Nazi Officer Uniform – As the old saying goes, if you can’t beat ‘em, join ‘em! Isn’t it funny how they never seem to find the things right under their noses? 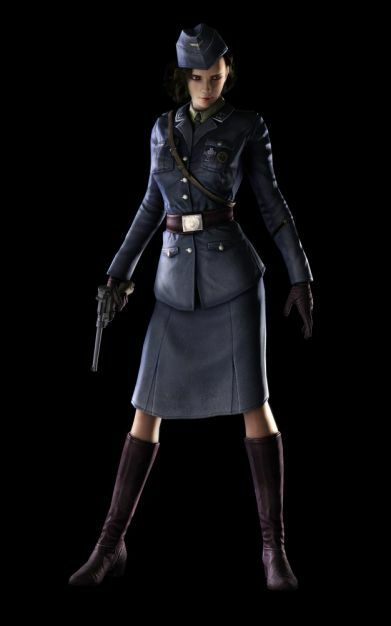 With one quick wardrobe change, Violette takes on the Nazi Officer uniform and can easily infiltrate enemy ranks. The minute Violette dons the uniform, she takes on the persona of a Nazi officer, walking and saluting to keep the other soldiers completely fooled. As long as Violette doesn’t have any close face-to-face encounters and doesn’t behave suspiciously, she should be able to fool any soldiers she comes upon. 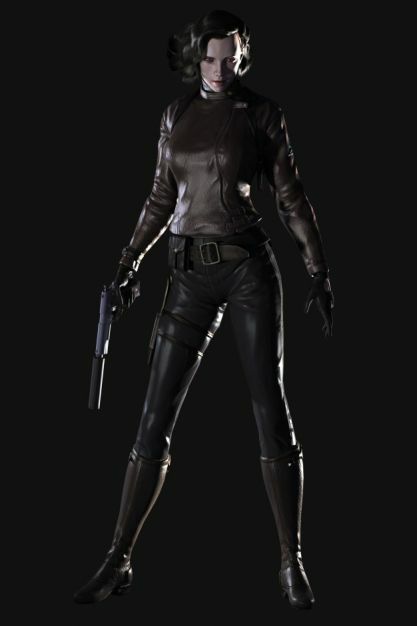 Leather Sneaking Suit – The all-leather suit gives Violette a slight edge in darkness. For obvious reasons she’s able to blend in with the shadows much better in this suit. Made of supple leather, this is the ideal outfit for Violette, with the tough, yet soft feel of the leather offering her great flexibility in both combat and stealth. Night Dress – This outfit is completely unsuited to any of the exploits that Violette will undertake, but that’s the point. The entirety of Velvet Assassin is actually a flashback, with Violette remembering her efforts while in a coma. Whenever players get into a tight spot in the game, they can go into Morphine Mode which simulates Violette getting an injection of the drug from her nurse to calm her down as she lives out the horrific memories of war in her violent dreams. When this happens, the action slows down and the world around her becomes more of a dreamscape, and whatever Violette was wearing is temporarily exchanged with the nightie she’s garbed in at the hospital.